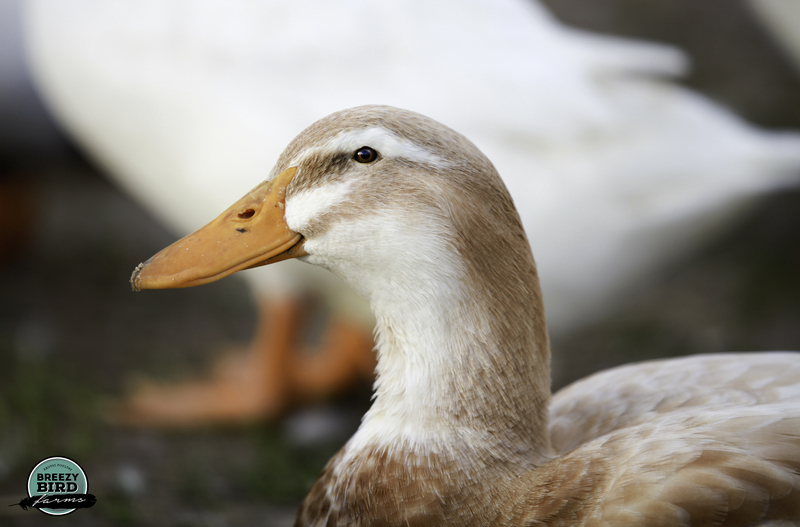 This large rare breed of duck is a german breed that was recognized in 1957. A dual purpose breed that is easy to tame. They will eat out of your hand and can be trained to head to their pen any time you command. We have found this breed very easy to work with. 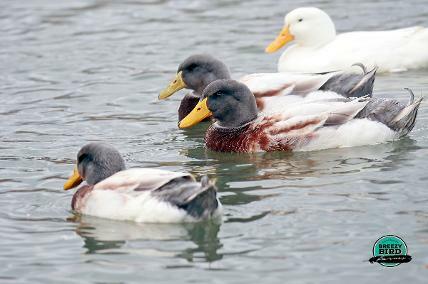 Saxony ducks are fast to grow. They have magnificent plumage. Pin feathers are not dark and make an excellent table bird of gourmet quality. They are well bred for a large weight of 8-9 lbs at maturity. Our Saxony lay large white eggs of top quality. Annual egg laying capabilities of this line is 200-260. This breed will soon become one of your favourites. We often find the ducks keeping an eye on us and wanting to stay close by. They are curious of other farm animals and love to follow them around. Great all around breed with an excellent personality. Our stock is newly imported from quality US lines.